Now we are discussing top 10 cheap drones that can be available for less than $100! But, you cannot expect these Best inexpensive drone to perform like high end ones. However, these cheap drones are still uniquely good in their own. If fun is what you’re looking for and you don’t want to spend a ton of money, these next 10 drones are definitely good enough to satisfy you. Check out the Best Drone Under 100 USD in the following section. The drone industry is remarkably developing in the present days; you can find many quadcopters in lower prices. For a beginner of the drone world, the cost is also an important factor to enter into quadcopters hobby. People may have an illusion that drones are costlier things. But Drones aren’t the things which are costlier; based on their features and usage they are also available at lower prices. Going through this article, you can find Best drones under 100$. Here we provide the best drones under 100 dollars that you can buy from Amazon. I am sure you will be surprised by the performance of these spanking little drones at a low cost. These Amazon cheaper drones are perfect for beginners, and for those who are first learning how to fly a Drone. 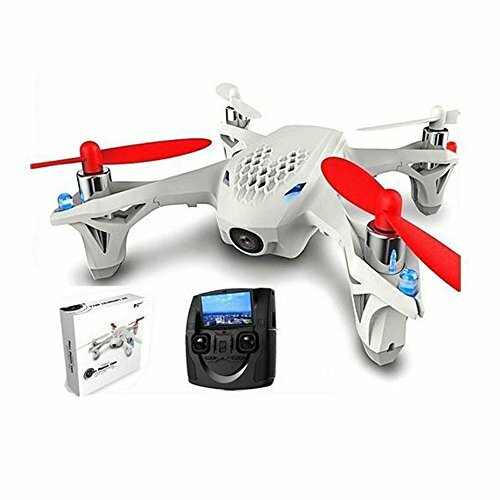 Hubsan H107D FPV quadcopter is the latest drone that falls under the category of best drones under 100. The 5.8G Hubsan drone is the small drone which is having FPV feature. RTF Hubsan H107D gives nice durability due to its durable airframe. The control range is 100m which is pretty much for an average flyer. Portable Hubsan H107 is a super mini-drone which you can gift your child or a friend who is new to the quadcopter world. The Hubsan H107D is a beginner flyer drone which is one of the best drones under 100. Included with 0.3 MP camera having 640 x 480 video resolution. A 3.7 Voltage, 380mAh LiPo battery gives a flight time of 7 mins. 4.3-inch color screen for the first person view. Super mini size because it is a portable and light-weight drone. It can be flown both indoor and outdoors. Remote control distance ranges upto 100m. Supports SD card from 2 t0 16GB memory. 6-Axis gyro stabilization makes the flight more stable in heavy wind. U818-1 drone is having advanced features similar to high-end drones such as 360° inversion flip and LCD screen remote controller. U818-1-P(PRO) is the latest model quadcopter which is top selling drone under 100. UDI U818-1 UAV has 2MP built-in HD camera to take aerial photography. U818 Pro will perform stunts such as 360° inversion flip. Alarms when the battery is at low charge. LED lights give a vibrant look at night time. The flight time of U818-1 pro is 6-9 mins. UDI U818 flies both indoor and outdoor environment. To Experience more flight time, the UDI come with two OEM batteries. Return-to-home features on low battery. The Syma X8C venture has a sturdy look outside, it will give you confidence because of its strong outlook. I would recommend 2.4GHz Syma X8C for a beginner drone flyer like you. Syma has a long controlling distance of 200m which is a plus for a quadcopter under 100. Syma X8C venture has IOC feature – Intelligent Orientation control. A built-in 2MP camera to experience HD images and videos. Syma X8C is included with a 4GB memory card to store your memories. The 2.4GHz Syma RC quadcopter supports 360° 3D versions. It has a longer control distance of 200m. A 7.4V 2000mAh battery is included will give a flight time about 10-12mins. Air Hogs Helix X4 Stunt is a high-performance quadcopter which is a ready-to-fly drone doesn’t need any installation. It is made with plastic and foam material to protect the drone while crashing. 2.4GHz Air Hogs Helix drone is an entry level drone under 100 having 6-Axis gyro stabilization. 6-Axis Gyro stabilization gives your flight stableness during winds. Airhogs helix flies both indoors and outdoors. It has a frequency of 2.4GHz radio control and 4-ducted fans. 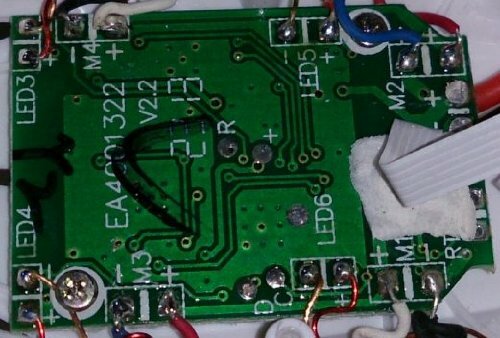 A 3.7V/350mAh LiPo battery gives a flight time of 7 mins. Blade Nano QX drone is one of the easiest drones to fly which falls under the category of best drones under 100. Rc Blade Nano QX is an awesome drone which flies with exceptionally high speed. It attracts drone flyers because of its sleek design and easy to operate the transmitter. Blade Nano QX is included with 2.4GHz transmitter ranges about 40 feet. Due to its small size Blade Nano is preferred for an indoor purpose only. Blade Nano is equipped with propeller guards so as to protect while crashing. A 150mAh 3.7V 25C Li-Po battery is included in the drone kit. The Full charge of the LiPo battery gives a flight time of 7 mins. Dromida ominus is one of the best drones under 100 $. It doesn’t come with a camera. The Dromida Ominus is popularly named as a beginner drone, which is available for those who are new to drone world. Four Channel 2.4 GHz Dromida Ominus is a Ready-to-fly quadcopter. This RC Quadcopter comes with a single rechargeable LiPo battery. We are going to attract for its sturdy design Dromida comes in four colors like Green, Yellow, Blue and Red. It has a decent flight time which is greater than all other RC quadcopters. We can fly Dromida Ominus drone in both indoor and outdoor environment. LED lights present in Dromida Quadcopter are used to make the drone visible even at night and dim days. With the RTF controller, you can operate the drone upto 300 feet (90 meters). Dromida flies both indoors and outdoors. The flight time of Dromida Ominus is 12 mins. 2.4GHz RC Dromida drone performs flips at the touch of a button on the transmitter. It has four LED light on the arms which give a nice look at night time. The Holy Stone HS200 Drone is a beginner friendly and great fit for those looking for a ready to fly. The 2 MP Cheap drone with Camera comes along with advanced features such as altitude hold, return to home, and one button landings and takeoffs. 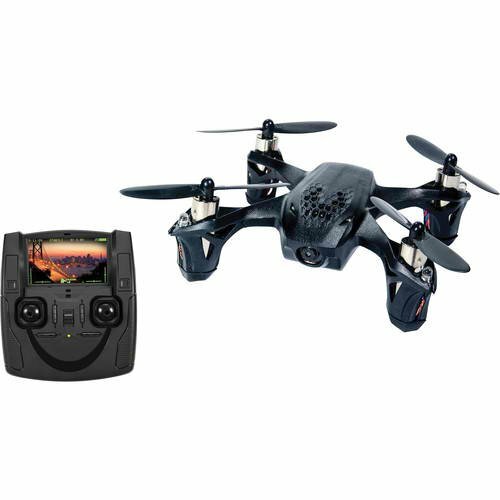 This Best Drone Under 100 with Camera will provide quality and enjoyment for at a reasonable price. The 2 MP 720p camera Drone allows you to record videos, stream, and gives images at a resolution of 1280 x 720 pixels. The inbuilt 3.7V 650 mAh battery of this Holy Stone Drone takes about an hour to charge. This drone with Camera under $100 will give you flying time up to 9 minutes. If you want to extend your drone flying time with the purchase of extra batteries. The Best Drone controller will give you up to 120 meters of control range. However, the flight range will be limited to 50m when the FPV mode is On. You can enjoy the FPV Video Feed on your smartphone where ever you want. You can also use your smartphone alone to directly control the HS200. The camera is 2MP and as mentioned it is easily moun table, not using it increases the quadcopter flight time from 5 to 6 minutes. This is due to the X5C1 using battery power from its 3.7V 500mAh available to both maintain the quad and the camera. As you can tell, the battery is not that powerful but considering the drone’s price tag, it doesn’t bottleneck. Syma X5C1 is perfect for indoor and outdoor flight. This is great pick for all of you looking for an affordable but still quality drone. What factors a drone buyer need to consider while buying a drone? The design of the drones should give the beginner flyer confidence that the drone should be strong enough even for a small crash. The quality of the material should be considered so as to check the durability of the drone. As these drones are used both indoor and outdoors, the altitude of control range is a major factor. For a Drone under 100, the control range varies from 50m t0 200m. For a beginner flyer to enter into quadcopter hobby, the cheapest price drones are best to learn flying a drone. If you are an experienced flyer, then quadcopters with advanced features are suits best. In order to take a risk, purchasing a beginner drone is the best choice. All these Best drones under 100 are mainly for the purpose of learning for a beginner. As these are beginner drones the flight time ranges from 7 to 15 mins. If you purchase a spare battery then you can enjoy double flight time. The battery, weight of the drone these factors will give impact on flight time. Drones may come with a camera or without a camera. For a beginner flyer, a built-in camera will add an additional feature to enjoy taking pictures, videos and aerial photography. While buying a drone with a camera, the camera pixels are also considered if you are rich in photography. For a beginner like you, i would suggest these drones are the best drones under 100. The Above drones will welcomes you to the quadcopter hobby due to their features and low price. All these drones are for fun to fly drones gives a lot of drone flying enjoyment. These drones under 100 are easy to use drones which you can enjoy operating without any hesitation.